MANHATTAN SKYLINE MANAGEMENT CORP.® may use the information you provide to us to contact you with respect to our services. For example, we may use your e-mail address to send you notifications of MANHATTAN SKYLINE MANAGEMENT CORP.® apartment listings or events. If at any time you would like to opt out of receiving such emails, please send an e-mail to and we will remove your e-mail address from our list. Please note that data security is very important to MANHATTAN SKYLINE MANAGEMENT CORP.® and thus all information, which we obtain, is held in a secured database.  While it is impossible to guarantee the complete security of any computer system and the data contained therein, MANHATTAN SKYLINE MANAGEMENT CORP.® implements stringent security policies and procedures. Visitors also may send resumes and applications for employment to us through the website. Information in those documents will be used only to process the applications. Manhattan Skyline Management Corp.® may investigate statements in resumes and applications to evaluate candidates for employment. Agents: We employ other companies and individuals to perform functions on our behalf. Examples include creating and maintaining our Web sites, sending postal mail and e-mail, removing repetitive information from customer lists, analyzing data, providing marketing assistance and providing customer service. They have access to personal information needed to perform their functions, but may not use it for other purposes. Business Transfers: As we continue to develop our business, we might sell or buy or assets. In such transactions, customer information generally is one of the transferred business assets. Also, in the unlikely event that MANHATTAN SKYLINE MANAGEMENT CORP, a subsidiary of MANHATTAN SKYLINE MANAGEMENT CORP.® or substantially all of their assets, are acquired, customer information will of course be one of the transferred assets. We use your Internet protocol (IP) address to help diagnose problems with our server, as well as to administer our Web site. Your IP address is used to help identify you and to gather broad demographic information. We may use your IP address to help protect ourselves and our partners from fraud. For system administration purposes, we also log IP server addresses and catalog traffic patterns through our site and our members' sites. This site may contain links to other sites. Please note that when you click on one of these links, you are 'clicking' to another Web site. We encourage you to read the privacy statements of these linked sites as their privacy policies may differ from ours. Manhattan Skyline Management Corp.® is not responsible for their privacy practices or content. Manhattan Skyline Management Corp.® may change the features and content of the website. This policy may change accordingly. You should periodically revisit this webpage to familiarize yourself with our current policy. By visiting this website, you agree to be bound by the then-current policy. MANHATTAN SKYLINE MANAGEMENT CORP.® may amend this policy from time to time. If we make any substantial changes in the way we use your personal information we will notify you by posting a prominent announcement on this page. Manhattan Skyline Management Corp.® endeavors to provide a secure website, but cannot guarantee the confidentiality of electronic communication. Transmissions to and from the website are not encrypted, nor are e-mail messages. Accordingly, you should carefully consider whether to submit sensitive information that you would not want made public, and should recognize that your use of the website is solely at your own risk. If you believe that Manhattan Skyline Management Corp.® has acted inconsistently with this policy, please notify us at the address below. We will respond to your concerns, and take remedial action, if appropriate. If you have questions or comments about this policy or the practices of the website, you may contact Manhattan Skyline Management Corp.®, 101 West 55th Street, New York, New York 10019, attn: Legal Department or Legal@mskyline.com. ©2019 Manhattan Skyline Management Corp®. All rights reserved.